This is a mesmerizing production. The actors are clearly understood and they pull you into the action by their enthusiastic and precise performance. A nice soundtrack adds to the atmosphere. One of the great works of western man...beautifully presented. Highly recommended. 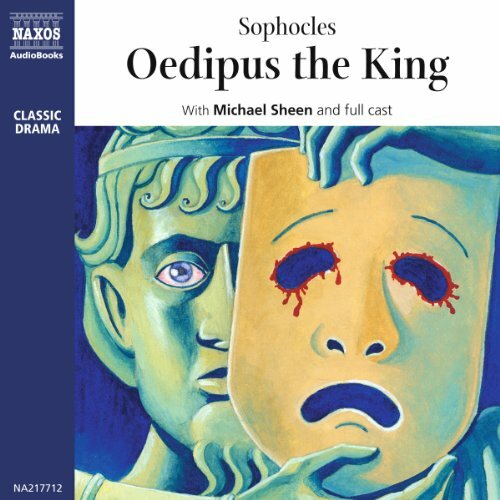 Would you try another book from Sophocles and/or Michael Sheen and full cast ? 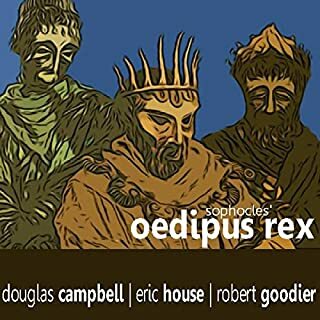 Oedipus At Colonus which is not available from Audible. After that I'll be listening to The Aeneid by Virgil using Audible's version of the Fagles translation. What does Michael Sheen and full cast bring to the story that you wouldn’t experience if you just read the book? The performance is very well done and moves along at a goodly pace with the appropriate emotional responses reflected by all actors. The characterization of Creon is a slightly weaker than the others but really doesn't detract from the overall production. Consistent with Aristotle's critique of tragedy, Sophocles' writing most definitely evokes pity and fear. It also encourages a number of deep questions, philosophical and theological. While the performance was superb, I struggled with the translation. I had a difficult time finding out who the translator was for this version. Audible could not help me so I purchased it hoping it was Storr, Plumetre, or Young. I couldn't match this with ANY of my versions so contacted Naxos books. The translator is Duncan Steen and, given what I now know, I would never have purchased this book because the translation is not classical and is modernized in what I consider to be a non-scholarly manner. 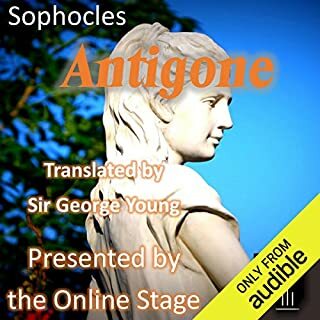 Too many idioms and expressions that modern audiences relate to but Sophocles probably never intended. This made the production too crude for me, despite the obvious skill of the performers. Hopefully someone will produce Fagles' translation with an equally talented cast and we'll have a truly great work!! I was caught off guard by this production, with its multiple parts and chorus, after listening to so many books in single voice. 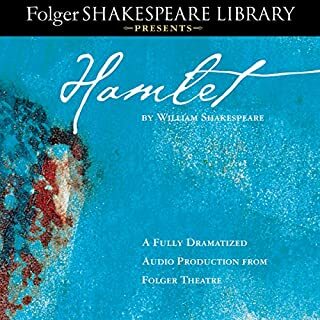 The translation is contemporary, and may come as a surprise, if you're expecting a classic production of a classic tragedy. You'll know you're listening to a tragedy. It is heart-wrenching without ever being maudlin. Highly recommended. 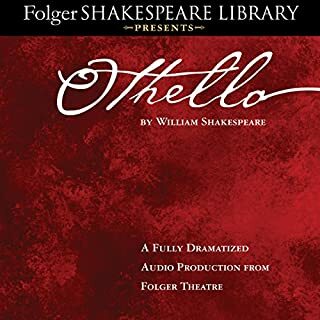 This is one of my favorite audiobooks. I was enthralled for the duration. The translation was modern but appropriate and expressive, and the performances were very well done. Listening to the play as performed by these fine actors brought a life to it that simply reading it never did. 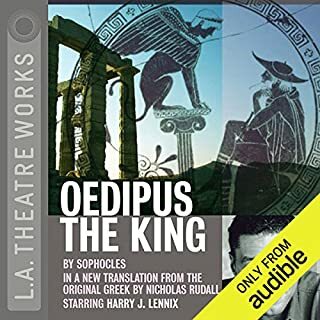 I will agree with one reviewer who said "some voices could be better amplified"; the voice of Tiresias was too quiet so I had to turn it up until Oedipus was practically yelling. That's my only negative; other than that small complaint, this was perfect. Please make more! I was required to read Oedipus Rex for my humanities class but found it difficult to understand as I was reading it. I found this particular audiobook (with Michael Sheen) very helpful. Although the words spoken were not verbatim to the book I have, the music was helpful for me to follow along in the book. The actors articulated very well using modern-day English. Overall, I give it 5 stars! Easier for me to listen, than actual literature! I get the meaning and can understand what's really happening!!! Sophicles - Why Didn't G-d Keep You Hear Forever? 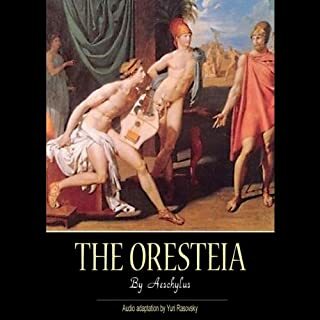 A tragic hero in Greek mythology, Oedipus accidentally fulfilled his prophecy received from the gods. At an early age he learned, that he would kill his father and marry his mother, and thereby bring disaster on his city and his family. He decided to alter his life to cheat his way out of his fate. Despite his efforts, in fact, as a result of his efforts, he met his Democlean destiny. Imagine this the Greeks of 429 B.C. had a settled concept of making our living selves distinct from the non-human animals. No longer were we equivalent to any common animal. We had developed an understanding of humanity - the quality of compassion or consideration for others. The play reminds us though, that our assimilation into mortality; comes with a higher degree of horrifics. With increased knowledge we have increased agony. Because we can see deeper we can bleed more vociferously. And just how calamitously will one scream when one learns he is seeding through yourr own mother? The given horror and how it torments Oedipus is the makeup of the great play. The audio’s acoustics are bad, the acting is not always great. The story, as difficult as one might believe, is a travel one should not miss out on in his/her life – the voyage through the play not its contents. Well read. Inimitable tragedy. Some voices could be better amplified. Well read, great ambient noise. Sets the mood well. Extremely annoyed. I bought this to read along with my text (Oedipus the King) but the texts do not match up. They're completely different. Complete waste of money.